Hikers walk along a road near the entrance to Governor Nelson State Park near Westport. Gov. Scott Walker wants to make the state park system self-sufficient. 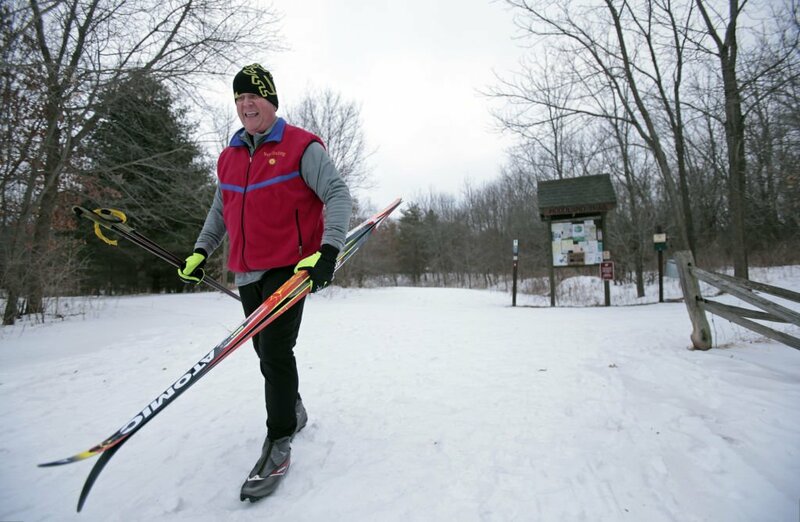 John Ulvilden of Westport walks back to his truck after cross-country skiing the Woodland Trail at Governor Nelson State Park near Westport. The Friends of Wisconsin State Parks raises money to support the state park system at Devil's Lake in 2013. Gov. Scott Walker's budget proposal calls for removing all state tax funding from the system, making it reliant on entrance and camping fees and donations. Edgar Covarrubias of Madison blows bubbles for his son, Noah, 4, in early June at Governor Nelson State Park near Waunakee. Gov. Scott Walker is proposing requiring the state park system to become self sufficient through fees. Mary Jo Baumgart and Clint Federer of Shiocton hike in High Cliff State Park, October 2012. High Cliff, the fifth most popular state park, was one of 18 state recreational properties to turn a profit in 2012, a Wisconsin Center for Investigative Journalism analysis showed. Gov. Scott Walker wants to remove state tax money from the operation of Wisconsin’s state parks and make them self-sustaining, a move one national expert said is unlikely to work without major changes in operations. As part of his 2015-17 state budget, Walker is proposing to remove all general-purpose revenue to operate Wisconsin state parks, trails and recreation areas — a cut of $4.6 million, or nearly 28 percent, of their current $16.7 million operational budget, according to the Legislative Fiscal Bureau. To help make up for the loss of tax revenue, the Walker administration is projecting higher revenues from a proposed hike in campsite and entrance fees next year. But the overall operational budget would decline under Walker’s proposal to $15.6 million for next fiscal year, or $1.1 million less than the current year, the fiscal bureau said. The cut would take effect beginning in July. General-purpose tax revenue has been a shrinking part of the funding stream for Wisconsin state parks since 1995, when the Legislature eliminated the requirement that state park operations be funded equally from user fees and the general fund. Wisconsin Department of Natural Resources spokesman Bill Cosh said the agency continues to review the budget and its potential impact on the agency. In place of tax revenue, the governor is proposing that operation of the state park system be funded by entrance and campsite fees. Walker’s budget calls for the cost of an annual state park pass to rise by $3 to $28 a year. Nightly campsite fees, which currently range from $12 to $22, would increase by $2. There’s an additional fee of $9.70 per reservation through Wisconsin’s privately operated online reservation service. Bill Zager, president of the Friends of Wisconsin State Parks, said his group favors the “modest” fee increase proposed by the governor. Zager, of Amery, said the group wants to ensure there is “sufficient funding from multiple sources” to staff and maintain the system. Just 18 of Wisconsin’s 74 state recreational properties took in more money than they cost to operate in 2012, according to an analysis by the Wisconsin Center for Investigative Journalism. It found that two popular parks, Devil’s Lake near Baraboo and Peninsula in Door County, provided most of the revenue. The National Conference of State Legislatures, in a January 2012 article, reported that state parks generally have not been shown to be self-supporting. And all but a few of Wisconsin’s state parks lack the commercial development — such as cabins, golf courses and food concessions — that can boost user revenues. “Although revenues from park admission fees, camping fees, golf course charges and restaurants can help fill the gaps, outside of certain very popular parks, they are not enough to make parks self-sustaining,” wrote Douglas Shinkle, who tracks environmental and other issues for the organization. State parks, trails, forests and recreation areas in Wisconsin draw about 14 million visitor-days a year. A joint study by the DNR and UW-Madison in 2013 estimated that the state parks generate $1 billion in economic activity annually. Philip McKnelly ran the North Carolina state parks system for 15 years and served as the executive director of the National Association of State Park Directors for 10 years until his retirement in late 2013. McKnelly said only a handful of states have tried to make their parks systems self-sustaining, but in his opinion, those efforts largely failed. McKnelly said state parks can at best earn 75 to 80 percent of needed revenues by collecting fees. The National Association of State Park Directors has estimated that on average, about 39 percent of state park operating expenses are paid for with park-generated revenue. Arizona’s state park system has limped along for more than five years after a fiscal crisis prompted the Legislature to cut off state tax revenues and redirect user fees to plug other budget holes. Several parks closed for a time, while operations of others have been turned over to local communities. A message left Friday with a spokeswoman for Arizona State Parks was not returned. Cristie Statler, executive director of the Arizona State Parks Foundation, acknowledged the last few years have been “very difficult” for park lovers in her state. But the fiscal crisis — and the continuing lack of tax support — has prompted a close examination of park operations resulting in a “more efficient and more effective management model,” Statler said. For example, she said Picacho Peak State Park, in the desert between Phoenix and Tucson, is now closed during the summer when the temperatures are dangerously hot. Statler suggested that policy makers should recognize the natural, cultural and historical value of parks along with their economic benefits when deciding how to fund them. “Rather than being evaluated on how much they can bring in the gate, they (parks) should be evaluated on the assets they are,” Statler said. 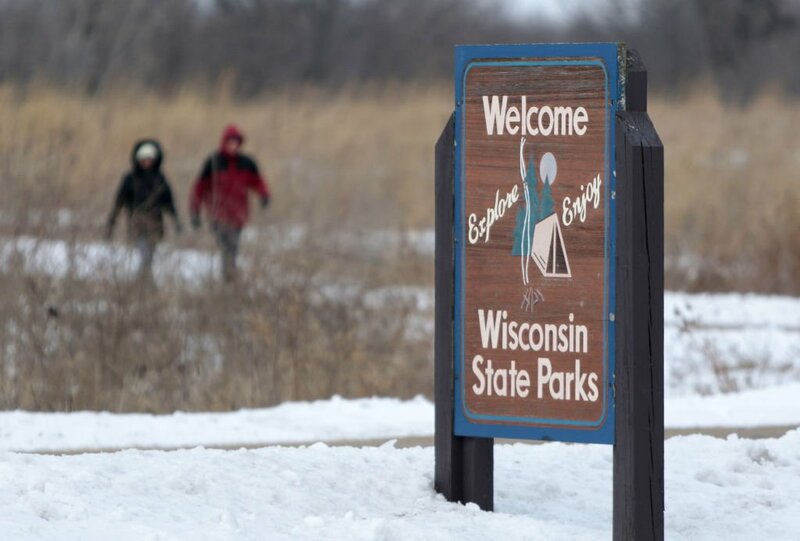 Budget crunches, such as the one Wisconsin is experiencing, have prompted states to use a variety of funding sources, including corporate sponsorships, to keep parks open, Shinkle found. In 2011, the Ohio Legislature approved drilling for oil and natural gas, known as hydraulic fracturing or fracking, on state parkland in part to raise revenues to support the park system. But Republican Gov. John Kasich backed away from that plan in 2014. Wisconsin has increasingly relied on donations and volunteers as state tax funding has diminished. Zager said the Friends of Wisconsin State Parks raised about $545,000 for the system in 2014 and marshaled nearly 5,000 volunteers who worked about 187,000 hours in support of the state’s natural and recreational properties. Direct spending rises 4.3 percent to $10.8 billion while Dane County spending jumps 7.5 percent and for the time tops $1 billion. Just in time for travel season, check out our interactive guide to state parks and forests. State parks fees have risen in recent years. Walker bolstered his political team on Wednesday, hiring a senior adviser to lead his efforts in the early primary state of New Hampshire and adding advisers to help him with foreign policy and domestic issues. If Gov. Scott Walker really wanted to undermine the popularity of Wisconsin's state parks, he would have banned alcohol. His plan takes a different destructive tack. Four developers competing to redevelop historic property all rely on millions in the state tax credits for redeveloping historic buildings. The Republican co-chairs of the Joint Finance Committee on Wednesday announced that they were removing the proposal from the budget.